1. 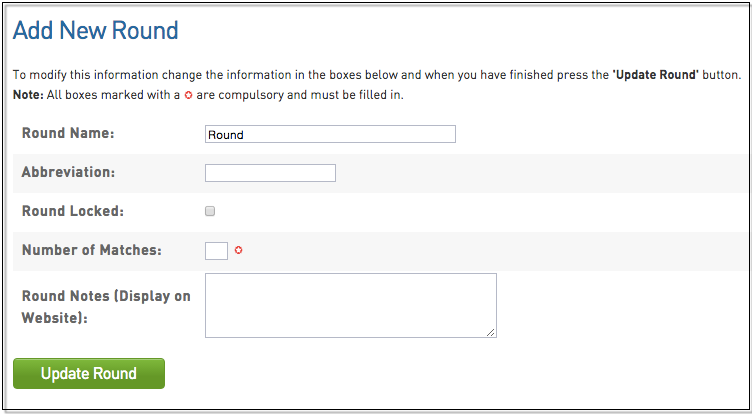 To add a round to a competition fixture without doing a complete refixture, hover over Competitions and click List Competitions. 2. Click on the magnifying glass just to the left of the specific competition. 3. Once on the Competition dashboard, hover over Fixtures and click Regular Season. 4. Once on the fixtures page click Add New Round. 5. It is then possible to give the round a name and abbreviation but the number of matches in this round must be included. Once these details have been entered then click on Update Round to save your changes. 6. Once the round has been added, returned to the fixtures page. 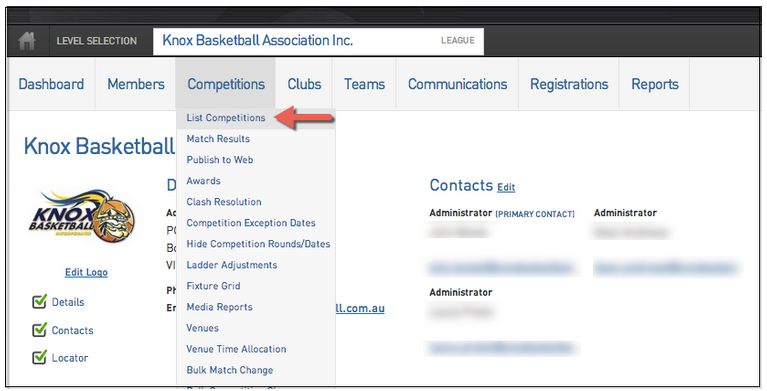 Ensure the match details are correct by double clicking on the information. Eg. below, the match date has been double clicked. You can then choose the appropriate date. To save this information click elsewhere on the fixture - eg. the Home Team heading. This will lock in the change.